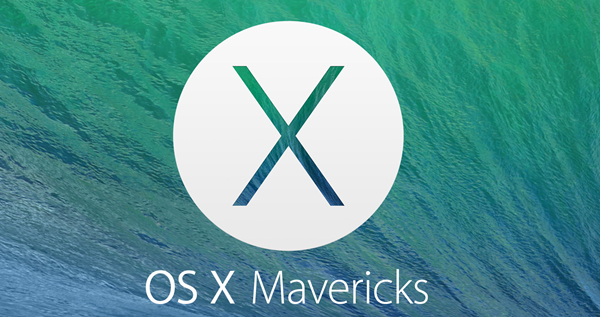 Apple’s 10.9 Mavericks desktop operating system is the newest major release of the OS X version. It reportedly has more than two hundred new features. Continue reading to look at Mac OS X 10.9 Mavericks vs. 10.8 Mountain Lion if you are undecided about whether to choose one or upgrade to the new system. Before the Lion OS X 10.7 was introduced in 2011, Mac users had to buy a disc to install the latest major version of the OS X. However, this changed with the OS X 10.8 Mountain Lion that was made available for persons to download directly. The downloadable system is continued with Mavericks OS X 10.9, as you can get this latest version free from the Mac App Store. With this free downloadable OS, your upgrade can be more convenient and easier. Mavericks OS X 10.9 is a significant improvement to the desktop operating system that Apple has made available to the 2007 or the latest Macs which run on Lion, Snow Leopard or Mountain Lion. The latest system has deep architectural improvements, including longer battery life, updated multiple displays support, enhanced Safari browser, desktop variations of iOS iBook’s and maps, new Finder tab and new iCloud Keychain function. If you are familiar with the multiple displays in 10.8 Mountain Lion or OS X 10.7 Lion, then you will know about the awkward behaviors of the full screen apps. This issue is fixed in OS X 10.9 Mavericks and you are now able to utilize any combination of multiple running desktop apps and full screen apps. For example, one display can run a full-screen app while the other runs on a desktop with multiple apps. The notifications are other features which are improved upon. They were introduced first in OS X 10.8 Mountain Lion with similar functionality integrated that you can only enjoy previously after installing Growl, a third-party app. With Mavericks, replies can be sent directly from the notification and you don’t have to open up the app. There are also updated notifications, including the feature that will allow you to get updates from your favorite sites, even when you are not running Safari on your Mac. You can get notifications with messages appearing on the lock screen about new emails, missed FaceTime calls, and more. When doing the comparisons for Mac OS X 10.9 Mavericks vs. 10.8 Mountain Lion, you will notice some appearance changes as well. One of the obvious changes is that there are slightly larger icons for individual preference panes. Besides that, Apple has improved on some icons like the one for iCloud. Another change can be seen in the System Preferences. Even though they will still organize the panes for individual preference in rows, the category names in the earlier variations of OS X are no longer displayed. These include categories such as Personal, System, Wireless & Internet, Hardware, and Other. In the OS X 10.8 version, you can choose to disable smoothing for smaller fonts than what is specified if you are activating LCD font smoothing. This option is not available in Mavericks as font smoothing can be on or off. The Mission Control in Mavericks is giving you a new option as there are separate spaces for displays. With it, you are able to set up different workspaces for every display. Apple revamps the Language & Region pane in the latest OS X. Instead of giving separate tabs for the Region, Text, Language, and Input Sources, there is a single screen where you can choose the preferred option. This change has helped to make the pane a lot simpler. Unlike in the OS X 10.8 where all the languages are displayed, Mavericks allow you to choose just the one that you actually use and as well as to arrange multiple languages based your preferences. The privacy and security tabs are also changed to some extent. The Privacy tab will now allow you to approve access to apps and gain access to special services. The Location Services, Facebook, Contacts, Diagnostics & Usage and Twitter are included, plus OS X Mavericks has categories for Reminders, Calendars and more. Apple designs the OS X Mavericks with a streamlined Bluetooth pane. In Mavericks, the Bluetooth feature is revamped considerable to make it easier and simpler to understand. In some ways, the settings are similar to the iOS Bluetooth screen. A new feature called the Enhanced Dictation is added and when it’s enabled you can download about 800MB of data. This feature can be used offline, plus you are able to use it for live dictation feedback and continuous dictations. You can use the feature for live transcription and much more in Dictation & Speech and it gives access to new voice choices for Text to Speech. These are just some of the differences that you will notice when comparing the two systems. Overall, the latest Mavericks operating system has new productivity features, new apps and under-the-hood modifications to deliver improved battery life and performance. 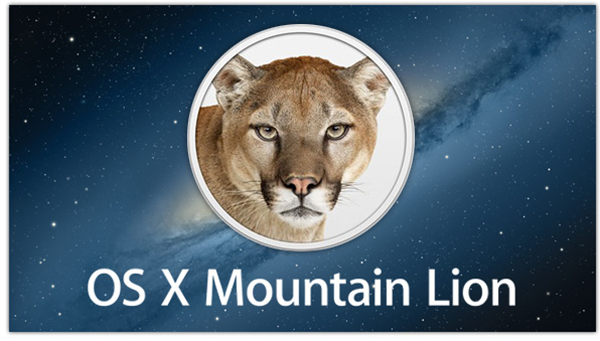 After looking at Mac OS X 10.9 Mavericks vs. 10.8 Mountain Lion, you will see that the latest version will give you a free update with added features.